When I first heard that our next Probus guest speaker was to be Professor Peter Roennfeldt whose topic would be Madame Mallalieu, (an early colonial musician), I immediately thought of Lola Montez. How wrong I was, for Madame Henrietta Mallalieu (nee Percival) and later known as Mrs Willmore, was one of Queensland’s greatest musicians. Well known for her chamber music and solo piano performances across a 60-year career, she was also ‘undeterred by popular prejudice’ in becoming the colony’s leading female organist, and was closely associated with the Willis pipe organ which is now the cultural showpiece of Brisbane’s City Hall. Henrietta Willmore believed in women’s political rights and responsibilities. She served on the executives of the Queensland Women’s Suffrage League and the Woman’s Franchise Association of Queensland. She was a founding member of the Brisbane Women’s Club and was president of the Queensland Women’s Electoral League’s Toowong branch. During World War I, she was President of the Belgian Relief Fund for which she was awarded the “Medailles de la Reine Elisabeth”. Henrietta was organist at St John’s Pro-Cathedral from 1882 to 1885, at Wickham Terrace Presbyterian Church and at other churches, and pioneered organ recitals and organ-based concerts in Brisbane. In recognition of her advocacy for women’s political and social rights, the Willmore Discussion Club, which was formed in her honour, commissioned the Willmore Memorial Chair for Women’s College at the University of Queensland. Her wartime charitable work was also recognised by the King of Belgium. 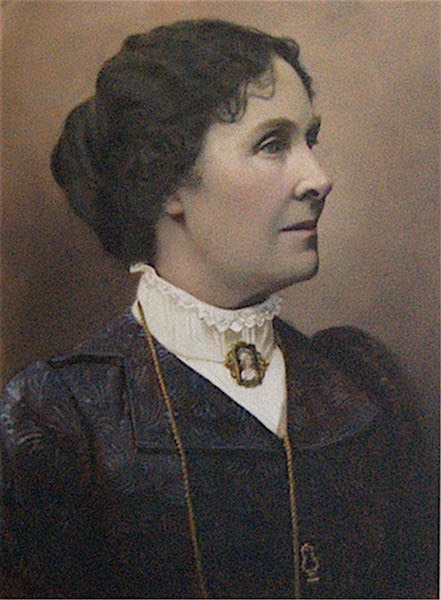 Henrietta’s legacy lived on, notably through her family’s bequest of their Toowong home as a female music students’ hostel, known as QCWA’s Mallalieu Home. Sadly, Henrietta’s names (she was married four times) are all but forgotten today. However Professor Roennfeldt from the Queensland Conservatorium of Music has now recorded her achievements in a new book entitled ‘Madame Mallalieu – an inspiring musician and her legacy for Queensland’. Was she known to Mary Coe, a well known hotelier in Brisbane? I have in my antique shop in Sydney a printers type face of Madame Mallalieu (same as your photo) suggesting she was also a countess! Hello – I too would love a copy. We are the current owners of Madame Mallalieu’s former Brisbane home. Thanks Fay. I’ll contact you when I hear from Kym.